More than half of the UK Independence Party’s (UKIP) supporters wouldn’t accept a Jewish prime minister, recent polls show. The results come as the British Ambassador to the UN pledged to eradicate anti-Semitism in the UK. Only 48 percent of UKIP supporters intending to vote for the party in the next general election said they believed a Jewish leader would be as “acceptable” as any other potential candidate. The polling, by Tim Bale, a politics professor at Queen Mary, University of London, was carried out as part of a study into the Labour Party under Ed Miliband’s leadership. If Miliband is successful in next year’s general election, he will be the first Jewish prime minister since Benjamin Disraeli, who held office in 1868 and between 1874 and 1880. Across the entire voter spectrum, it was revealed that 83 percent of the population said religion would not affect their voting preference. The research further showed the results were slightly lower for individual parties. Some 73 percent of Liberal Democrats and 72 percent of Labour supporters found a Jewish PM acceptable. Conservatives polled at 65 percent. The results of Bale’s polls coincide with a speech by Ambassador Peter Wilson of the UK Mission to the UN, issued to the General Assembly Informal Meeting on Anti-Semitism. Wilson discussed the recent rise in anti-Semitic attacks in the UK. He called the attack at the kosher supermarket in Paris a “painful reminder” of the work which needs to be done to tackle the problem. The ambassador reaffirmed the UK’s commitment to eradicating anti-Semitism and said that an additional $200 million had been set aside for the next two years for counter-terrorism. 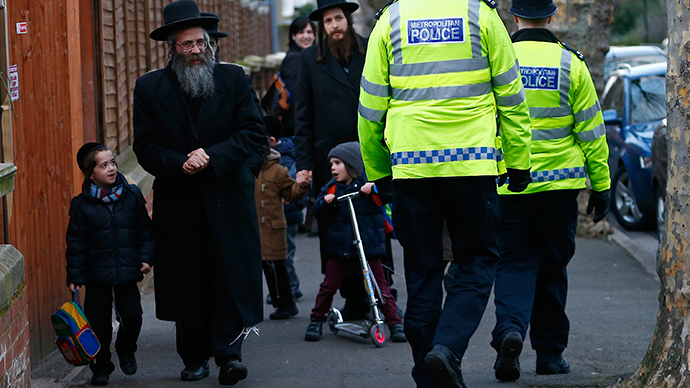 In the wake of the Paris shootings, UK police are in extensive dialogue with Jewish community leaders about the best ways to protect them, including patrols in key areas. Wilson said education was a fundamental way to tackle rising levels of anti-Semitism. Remembering the Holocaust was integral to understanding the present manifestations of anti-Jewish thought, he said. “Among the projects we support is one run by the Anne Frank Trust, which uses her diary not only to educate about the horrors of the Holocaust but to tackle prejudice and discrimination today,” he added. The ambassador’s speech comes less than one week after Home Secretary Theresa May said Britain must redouble its efforts to wipe out anti-Semitism. May was speaking at a service in London on Sunday to remember those killed in the Paris terror attacks earlier this month.